Oxford University Press (OUP) is the largest university press in the world, and the second oldest after Cambridge University Press. It is a department of the University of Oxford and is governed by a group of 15 academics appointed by the vice-chancellor known as the delegates of the press. They are headed by the secretary to the delegates, who serves as OUP's chief executive and as its major representative on other university bodies. Oxford University has used a similar system to oversee OUP since the 17th century. The Press is located on Walton Street, opposite Somerville College, in the suburb Jericho. 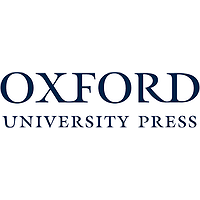 OUP as Oxford Journals has also been a major publisher of academic journals, both in the sciences and the humanities; as of 2016 it publishes over 200 journals on behalf of learned societies around the world. It has been noted as one of the first university presses to publish an open access journal (Nucleic Acids Research), and probably the first to introduce Hybrid open access journals, offering "optional open access" to authors to allow all readers online access to their paper without charge. The "Oxford Open" model applies to the majority of their journals. The OUP is a member of the Open Access Scholarly Publishers Association.